All of our boys’ ties are handmade in Chicago by our in-house necktie seamstress. If the standard 46 inch boys tie is too long or short, simply let us know the recipient’s age and height so we can approximate an appropriate length. Boys’ ties take a few days to hand make, so hold tight. 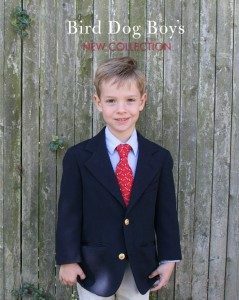 A 46 inch tie is usually perfect for a little fella in the 9-12 age range. For boys in 9th grade or five feet tall, we suggest choosing a men’s tie. If he’s on the cusp, we recommend choosing a men’s tie, instructing him to tuck the tailpiece into his pants for a short time. He will quickly grow into the tie within the year, allowing much more wear from the men’s tie than a shortened boys’ version.